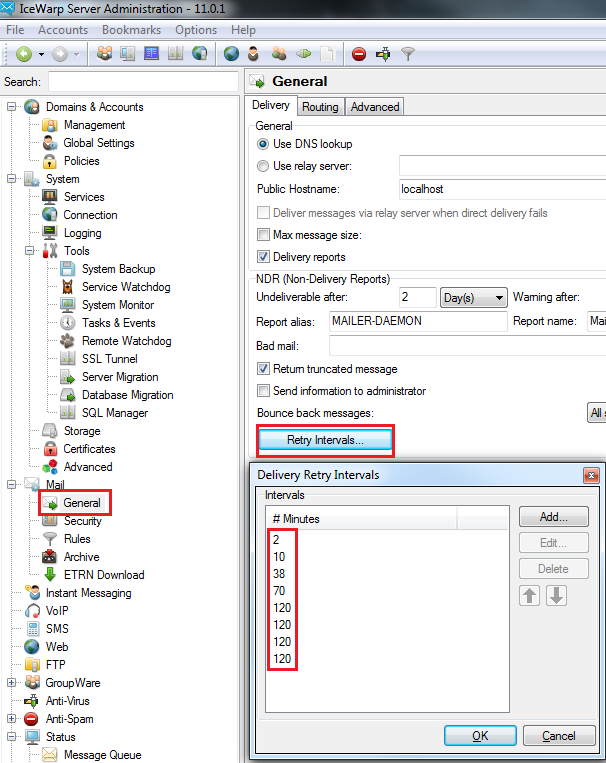 Controling the retry intervals in the SMTP outgoing queue? The first attempt to deliver is always just after the message enters the queue. 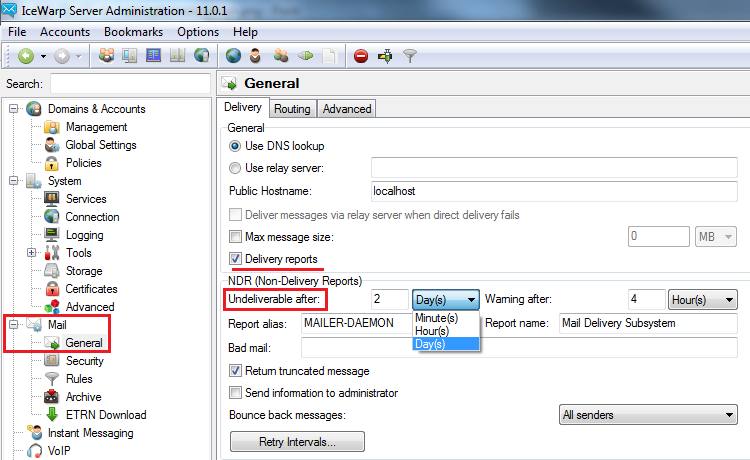 After the 8th retry, the same retry interval will be used until the Undeliverable after threshold is reached (Set in Mail tab > General > Delivery tab). If you wish to set your own retry intervals you should modify intervals in the Mail tab > General > Delivery tab --> Retry Intervals dialog.